Falling like a stone from six miles up, a brand new C-500 crashes in central France, killing the two pilots aboard. When French officials take over this highly public investigation, they call in the best there is: Frank 'Jammer' Davis. A retired U.S. Air Force fighter pilot, Davis is part of the NTSB's 'go-team.' With a reputation for getting things done--and for steamrolling anyone who gets in his way--Davis starts to dig. But just as Davis starts his investigation, news of the crash is overshadowed by a more spectacular disaster: suicide bombers attack oil refineries worldwide, sending governments and financial markets into a tailspin. A relentless Davis keeps investigating, but uncovering the cause of the crash, and its terrifying connection to this worldwide disaster, reveals a conspiracy of unthinkable proportions--a conspiracy he might not be able to stop. 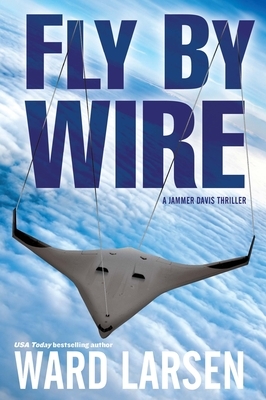 But, Jammer Davis won't stop until he gets answers--or until somebody stops him from getting answers.